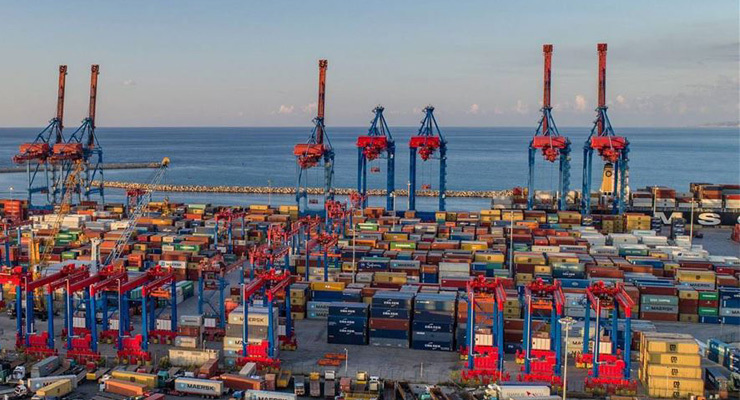 Transshipment at Port of Beirut (PoB) reached 431,000 twenty-foot equivalent units (TEUs) in 2018, up six percent compared to the preceding year, according to statistics released by the port. “The increase in transshipment activity compensated for weak local consumption,” said Elie Zakhour, Chairman of the International Chamber of Navigation (ICN). Containers for local consumption decreased by three percent to 874,200 TEUs. “One of the reasons why transshipment improved is reduced bureaucracy and improved overall operations,” he said. Total imported and exported containers remained stable at 1.3 million TEUs. But the volume of merchandise totaled 7.9 million tons, down by seven percent. POB’s revenues were $232 million, four percent down. The number of passengers reached around 5,000 also dropping by 18 percent. The number of vessels entering PoB decreased two percent to 1,872.